If you are a naturally slim person trying to pack on muscle you could be fighting a serious uphill battle. More often than not naturally skinny people have really high maintenance calorie numbers. Eating excessive amounts of calories in a day can be tough, especially if this is a new endeavor you are embarking on. If you’re anything like me, you have a very busy lifestyle. You simply don’t have time to sit down and eat a full breakfast every morning, you likely have a very limited lunch hour, and in the afternoon you are trying to squeeze in a gym session in the little bit of spare time you DO have, not take the time to sit down and crush a mid-afternoon meal. With all these stressors placed on your dieting habits, it can be a struggle to make sure you’re eating the necessary amount of calories throughout the day. In order to make this easier on you, I’ve outlined a few of my favorite strategies for eating more than your maintenance calories. First though, let’s talk a bit more about what I mean when I say maintenance calories. What Does Eating More Than Your Maintenance Calories Mean? The concept of maintenance calories is relatively simple. Your maintenance calories are the number of calories required to maintain your current weight without gaining or losing any fat or muscle. This number can usually be calculated through different metrics including BMI. We could dive into detail here, but you only need to know that these numbers are based on your total daily energy expenditure (TDEE) the amount of calories that your body puts out during the day to keep you alive and perform basic daily functions as well as those required for exercise periods. Online calculators based on your height and weight can get you pretty close to your maintenance calorie numbers. Make sure that you take into account the frequency and intensity of your workouts in whatever calculator you use to establish a more accurate TDEE. As long as your calories in minus your calories out balance, you would be eating your maintenance calorie numbers. Exceeding this value is usually recommended for weight and muscle gain. As I mentioned above, there are a few ways to make sure you stay on track and consume enough to overcome your calories expended. This probably seems like a no brainer and you’ve heard it a million times. However, it’s much simpler to prepare high quality, healthy lunches for the week ahead if you set aside some time on Saturday or Sunday to meal prep. Eating lunch on the fly can easily result in less informed decisions during the week. If you know you need to eat, it’s likely you’ll need to grab something quick. More often than not a quick lunch results in one of two options: a lower calorie quick grab salad or very fattening fast food. This means you are either falling short of your allotted calories for the day or exceeding them in a very unhealthy manner. Meal prepping allows you to make sure you put together a carefully calculated meal. You can guarantee that you are eating a certain amount of calories without being unhealthy. On Sundays it’s usually a good idea to dedicate some time to cooking a few chicken breasts to last Monday through Friday for lunch. Since the focus is on the quantity of calories you’re eating, make sure to throw in something like rice, quinoa, or another higher calorie, carb based item. Lastly, top your lunch off with vegetables like asparagus or broccoli. Depending on how many calories are need, throw in some almonds, or a half peanut butter and honey sandwich to give you a boost. Meal prepping ensures that you hit your target protein, carb, and fat (macronutrient) levels without skimping on the calories. I’ve written about the effects of too many protein shakes on your body in the past. It’s a good idea to avoid strictly protein shakes to supplement your calorie intake. The best types of shakes are fruit based, usually it’s easy to add some chia seeds, peanut butter, and almond milk to boost calories. Whipping up a shake every morning makes sure you eat breakfast which gives you one more meal a day that you have an opportunity to consume calories. If you find yourself not eating breakfast, you’ll usually compensate for that with larger meals for lunch or dinner that can bog you down or not contribute to muscle growth in the same way that maintaining steady calorie intake over the course of the day would. Sometimes, if you know that you won’t have time to make a shake in the morning, it can be a good idea to make it the night before and store it in the refrigerator. A quick way to make a shake in the morning is utilizing a quick blender like a NutriBullet. The average target for a breakfast shake should be anywhere from 250 calories to maybe 500 or 750. This gets your day started off right. If you are trying to exceed maintenance calorie levels you must have some sort of breakfast to kick off your day. Many have employed the intermittent fasting (IF) mechanism, however, if you are simply trying to gain muscle you may not be able to do so with just a couple meals between the hours of maybe 1:00-10:00pm. It’s best to eat breakfast in some fashion. This may be the most important point made in this article. Perhaps one of the biggest mistakes made when trying to pack on the pounds is the lack of snacking between major meals. 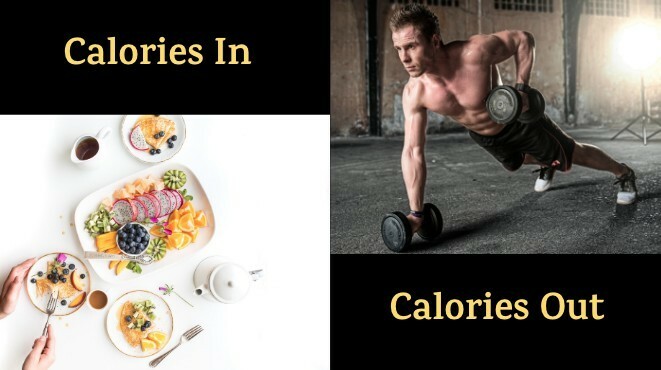 A lot of the time individuals will focus on their calories at breakfast, lunch, and dinner but still struggle to eat their target. An easy way to overcome this barrier is through smart snacking. Smart snacking means that you aren’t necessarily gobbling down a bag of Cheetos one every hour on the hour. Calorie consumption should be something that is targeted and deliberate. Some of my favorite snacks to supplement with include almonds, trail mix, jerky, fruit, or the classic PB and honey sandwich that I mentioned before. Without a doubt, the best snack bar for supplementing calories I have found to date is the Rx Bar. Rx Bars are packed with a few egg whites (3-4 usually) some fruit like dates, and maybe nuts like almonds or peanuts. The real benefit is that these bars are packed with about 200 calories a piece. Click the banner below to purchase Rx Bars on Amazon. One or two a day as a snack between breakfast and lunch or lunch and dinner (pre-gym) is a great addition to your calorie count. 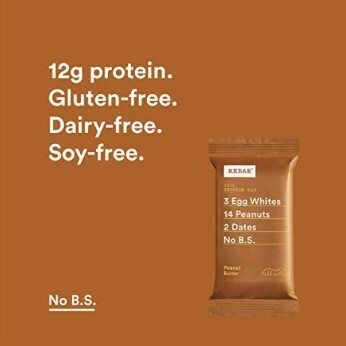 The protein in each bar is about equivalent to a scoop of whey and if you are trying to bulk up this is a good alternative to the typical protein powder and milk shaken up in a blender bottle. The idea behind this was simply to provide you with a few quick tips to eating enough throughout the day. Many of these are pretty easy options, however, a conscious decision must be made and a focus on calories is essential to gaining muscle. By incorporating these few line items into your overall thought process about maintaining current weight or increasing overall mass, you’ll be well on your way to achieving the type of body you are looking for. Being a naturally skinny dude myself, I am constantly struggling to gain muscle. I quickly see different results based on what I’m eating. I have worked my maintenance calories out to about 2,300 calories per day. I consistently try to eat about 25% more than my maintenance calories when I am on a muscle gaining grind. The key point here is that you simply need to track what you are putting in your body to achieve desired results. If you lose track, you could have a very skewed perception of how many calories you are eating. This can hold true for both those trying to exceed maintenance calories… and for those who are trying to lose weight. If you have any additional questions about or need more detail on maintenance calories or the strategies used to make sure you’re exceeding this number feel free to leave a comment below! If you have experience with bulking yourself, feel free to share that experience in the comments section as well. This is lovely and i must commend you seriously for putting this lovely post together; You have been an inspiration to me in the past through your articles and i must tell you this is not an exception. Thanks for the kind words. I’m always happy to help those in need of health and fitness knowledge. I thank you kindly for reading. Maintenance calories can be a foreign subject to quite a few folks, but I’m glad your research has led you here to Incite Fitness. Glad I could answer the questions you had. Let me know if anything else pops up and I’ll make sure to get back to you. Thanks for reading and I’m glad you enjoyed the article. It’s awesome to hear that I have folks like you stumbling upon my content. Being a trainer is a serious achievement and I’m also glad to hear that what I’ve suggested in terms of diet holds true. It really comes down to the cupcake vs. Rx Bar at the end of the day. Both may be 200 calories, but one is packed with protein, egg whites, fruits, and nuts. The other is just a ball of sugar with some more sugar on top. I do like to cheat every now and again but that’s only fair. As long as the majority of the time you are maintaining those calories or exceeding them in a healthy manner you should be able to build clean, lean mass. Glad you thought so! I look forward to sharing more with you in the near future. Thanks for this wonderful information. I’m skinny as well with a busy day schedule. I’ve been weight lifting at my backyard for some time now with a very minimal results. Now this post had enlightened me to take more calories to balance my work out. And on a serious note I don’t really eat much. Thanks once again for that piece of information, it was priceless. It’s tough to be a skinny person these days especially with a tight schedule to adhere to. Good to know I’m not the only one out there struggling with packing on the muscle. It sometimes feels like I’m a little crazy when I write articles like this and no one responds, so thanks for taking that head on and offering up your thoughts. 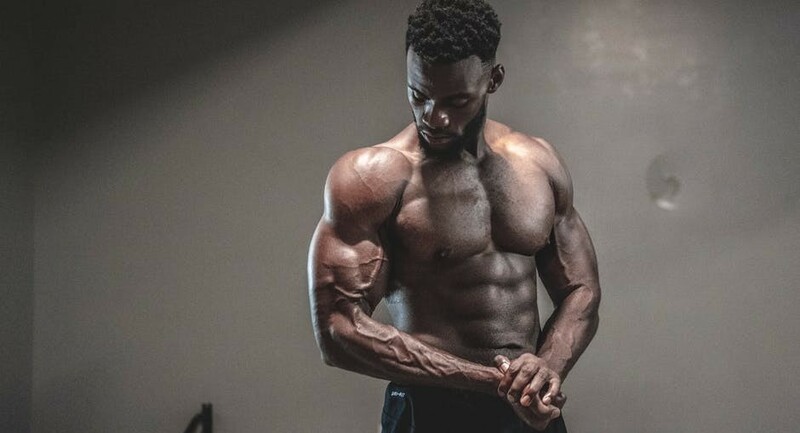 Weight lifting can quickly get you shredded as a skinny person, however, the important thing for muscle building and maintaining healthy weight is to make sure you are getting those calories. Hopefully this has helped put that in perspective! If you have any other questions or curiosities you might want me to address in future articles feel free to reach out. I wish I had the problem of being too skinny, but unfortunately, everything I look at makes me put on weight. This was a very inciteful article detailing how to eat more calories than you need in a healthy manner. Most would be tempted to binge on doughnuts but this wouldn’t help matters much, especially if you want to build muscle. So this article just outlined to me that whether you are overweight or underweight, the importance of eating balanced nutritional meals is paramount to keeping both your body and your mind healthy. That really is a problem that many have. However, maintenance calories also work in the opposite direction! If you want to shed some of those pounds you can make sure to come in a bit below your maintenance calories. An easy way to boost the calories required for daily life is to exercise at a moderate to high intensity a few times a week. Doing so expends a lot of calories. This means you can eat the same amount you do now (most likely) and shed some weight. This is why diet and exercise when coupled properly can be so powerful. It sounds like you’ve got the right ideas though and a solid foundation when talking about eating a balanced nutritional meal and staying healthy both physically and mentally. Glad this was informative. That’s a positive for you. Many skinny people don’t enjoy eating so it becomes a serious chore to pack on muscle through eating the proper calories. I know there were times where a peanut butter and honey sandwich was rough to take town. I would have to basically wash it down with a water and it was really more like work eating it than enjoyment. I definitely don’t encourage gorging yourself. However, do understand that eating the right amount of calories might be tough at first, but it gets easier as your body gets used to it! Best of luck to you and building that muscle! And good luck with the shake my friend. You are very welcome! I enjoyed writing it so I’m happy that you enjoyed reading. It is tough to engage many readers, glad I accomplished that goal. I want to clarify, eating more than maintenance calories is not necessarily meant to “maintain”. Usually this is a strategy for building muscle and gaining weight. Sorry if I wasn’t clear enough on that in the article! I don’t mean to be confusing. If you enjoyed this article definitely check out a few of the others under the nutrition/diet category. There are three body types based on their propensities towards gaining muscle mass which are; Endomorph, Ectomorph and Mesomorph. If you’re ectomorph with a small body frame and little fats, then you need some scaling up to do which involves eating above your maintenance calories. This would help you gain some fats which will be converted to muscles. It seems like you have a great handle on what I was aiming to discuss. Body type is really the basis of where eating more than your maintenance calories comes into play. I have a small frame myself (well maybe lanky, not necessarily tiny), so I deal with this struggle like many. Are you also an ectomorph? Have you had much luck gaining weight through lifting and solid diet? If so I’d like to hear a bit more. It’s always good to have outside opinions on the subject brought to light. This post provided some great strategies to eat more than your maintenance calories for those of us that are trying to put on some weight. As you describe, it can be hard to get enough during the day due to my schedule, which is quite hectic during the work week. What often happens to me is that I try to get any calories over my maintenance level without regard for the nutritional value. This means that often they are not really helping my overall health as I would like. Your tips are well-taken therefore, and I will be planning a bit more going forward. The shake in the morning makes a lot of sense and is easily incorporated because I have a mixer and can add this without much trouble at all. The weekend planning is the second idea that makes a lot of sense and I will try this as well. This way I can not only add calories but get the nutrition I am looking for. Great article, thanks a lot! I’m glad that you thought my strategies were helpful. It’s always good to hear from a fellow busy individual. You share my struggles! I think pretty much anyone with a professional career has a pretty tough time fitting in a consistent diet and exercise plan. That most definitely should be avoided, but it’s a good start that you recognize that! The 50 chicken nugget method is not ideal for those looking to gain solid lean muscle and not pack on the fat with it. Let me know how the planning goes and what sort of results you see! Good to hear that you can also incorporate the shake with ease. Thanks for the kind words! I’m happy that I could help. Let me know if you have any additional questions or just want to talk results. I’m always curious to hear feedback after someone takes some of my advice into account.